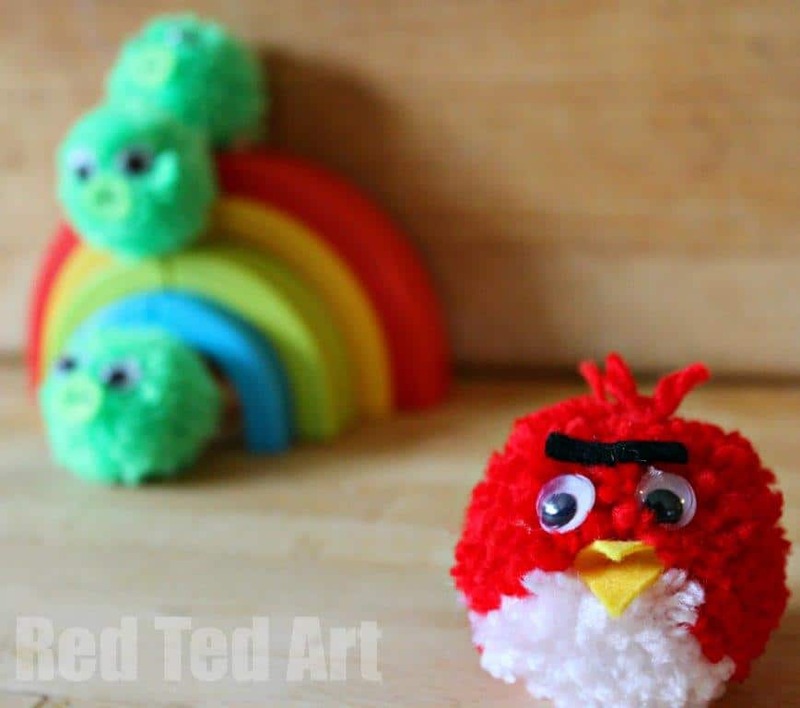 I will show you ow we made our Angry Bird PomPom and also how to use the PomPom Maker (affiliate link). 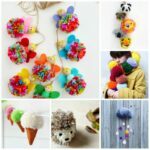 Alternatively, check out our PomPom Bunny post to see how you can mke pompoms with cardboard. 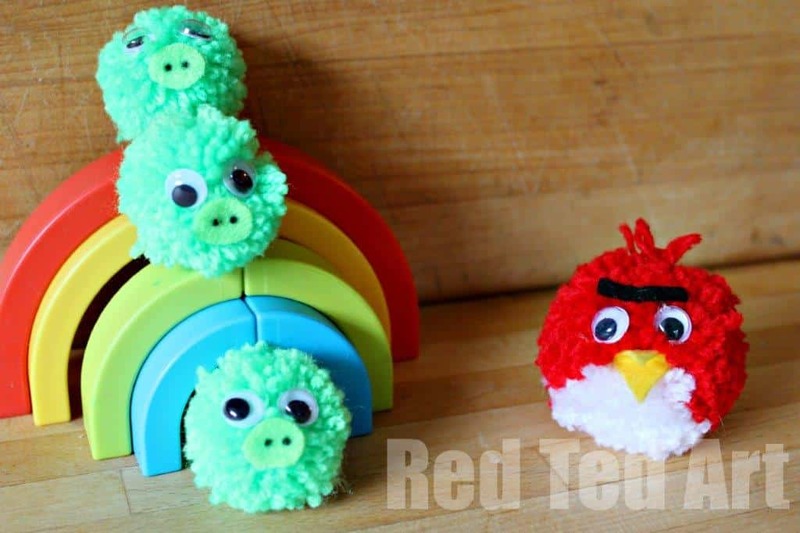 You can of course make our Angry Bird and Angry Birds Piggy the “traditional way… just make sure you have a similar colour ratio. 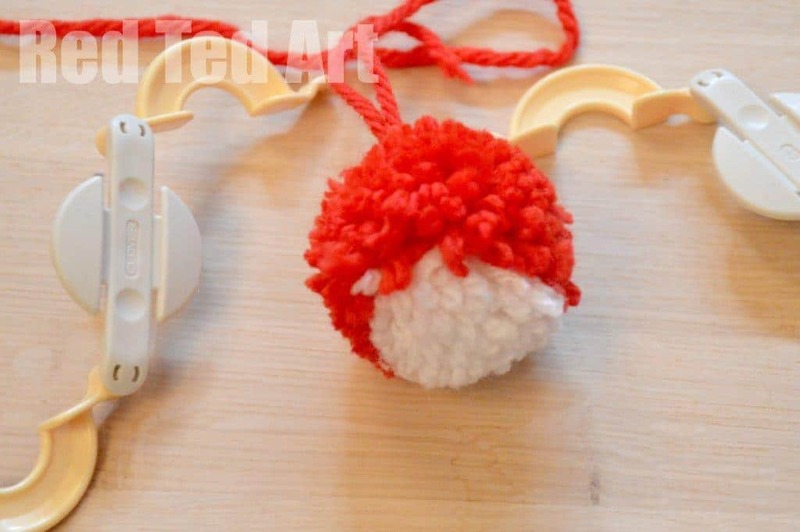 Also love our Angry Bird Pompoms as this makes for a great indoor game… I have NO problem with the kids throwing these around as much as they like….. they are unlikely to break anything! 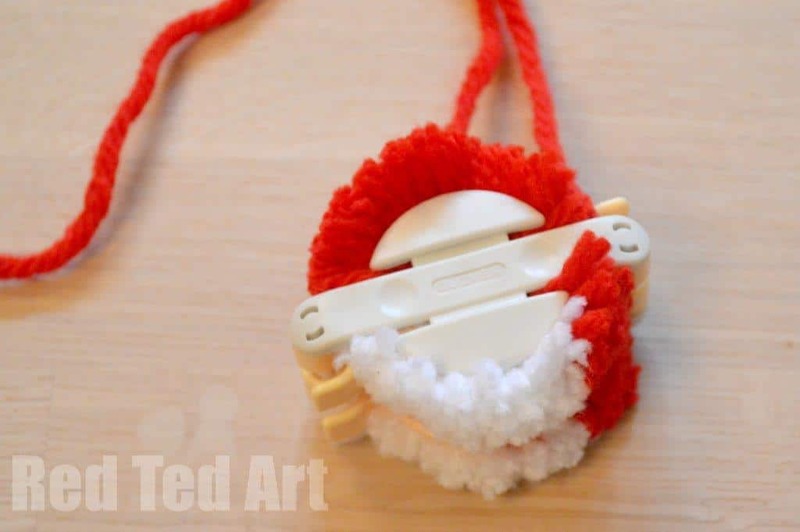 1) Lift your flaps of your pompom maker. 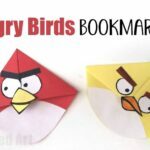 Wind the one flap in red. 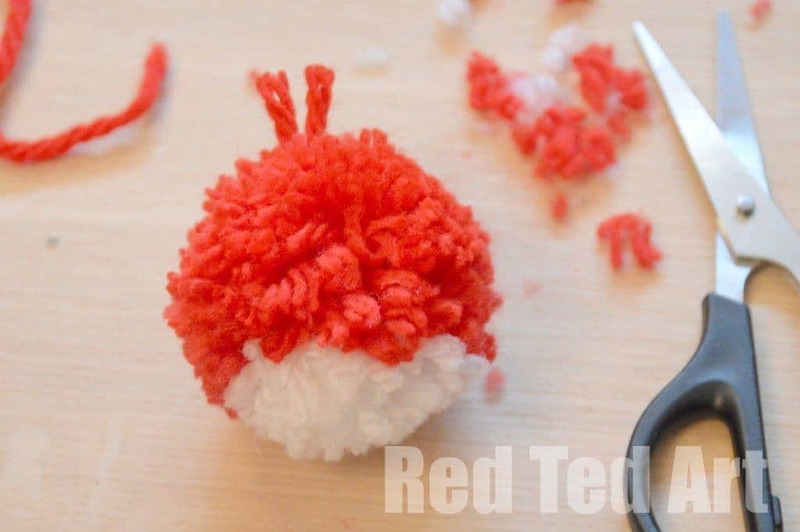 Make sure it is really THICK, so you get a nice fluffy pompom. I basically wind it until you can “just” shut it. Close. And start on the second flap. 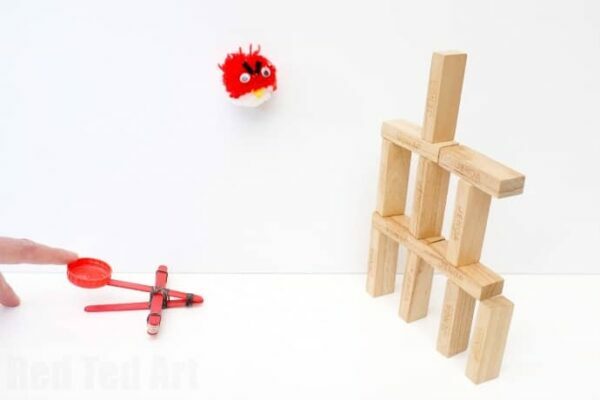 Here I did about 1/3 red and 2/3 white to get the angry bird’s tummy. Again, wrap it really “full”, so that you can just close the flap. 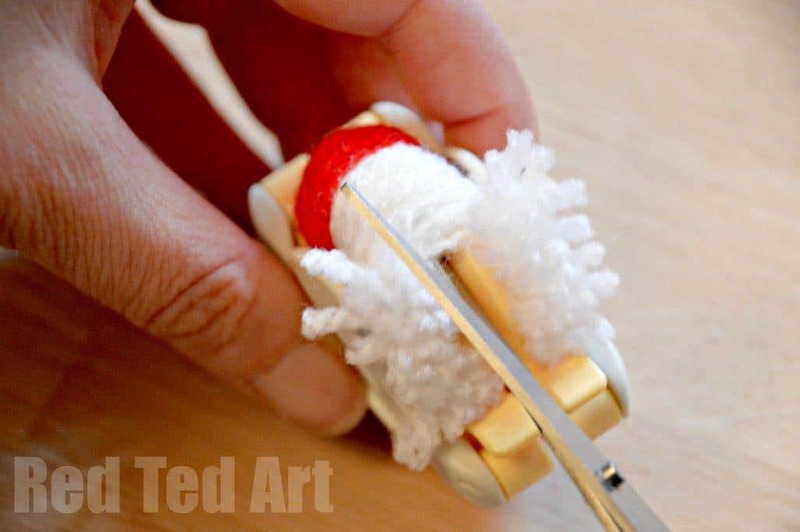 3) Take a sharp pair of scissors and snip all the way around. 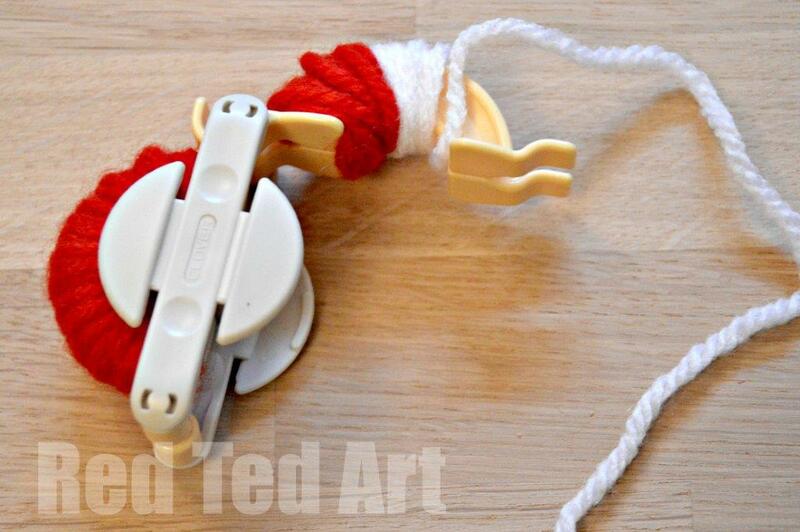 Make sure you get every thread. A good pair of scissors, that is sharp at the “front” end, really helps. 4) Though a short step, this is one of the most important steps! 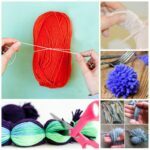 Firstly you need to get the position of your “wrap around” wool right – as you want to keep a bit of the “protuding” wool as the angry bird’s little feathers that stick up. 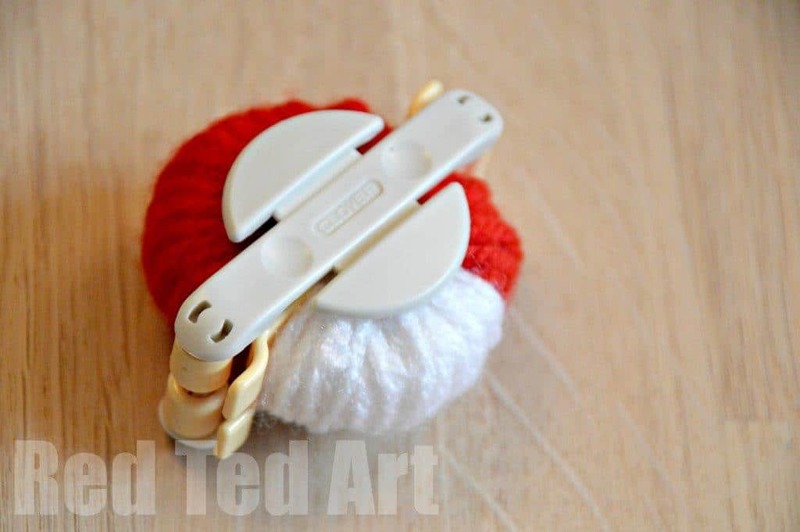 So make sure you wrap your wool, so that the white part is level with you. 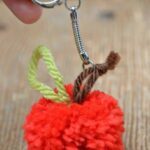 You need to tie a good and tight knot here to secure your pompom well. 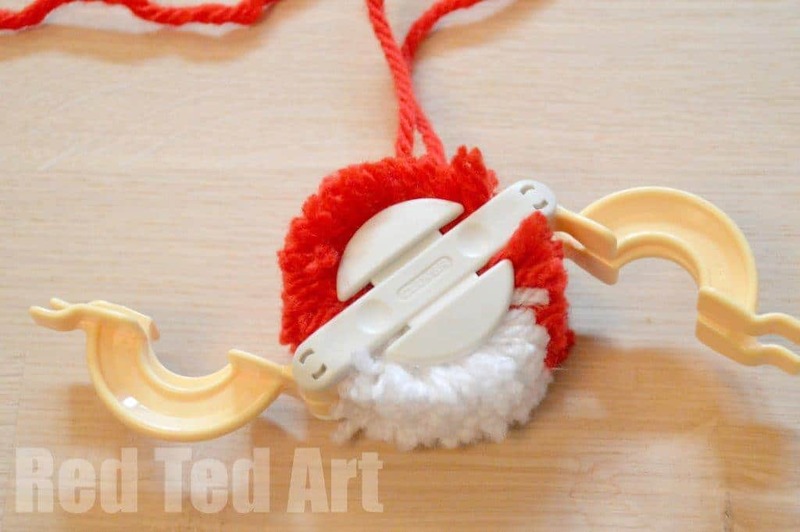 6) Pull the pompom maker apart…. 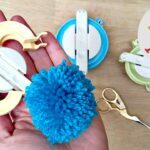 7) Give your pompom a trim – but keep 2 little bits “sticking up”…. 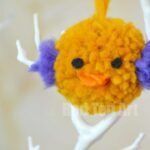 Aren’t these little Angry Birds Pom Poms just the cutest? 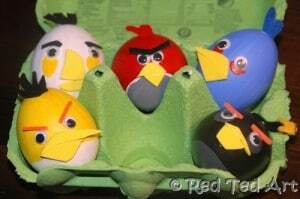 Have you seen our set of Angry Birds Easter Eggs? Check them out for sure! What fun…love the eggs too. Where did you find the rainbow toy? 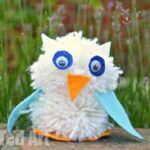 It’s adorable! Amna, it is a set of pens! They are from a gallery – unfortunately can’t find a link to some on line! Sorry! 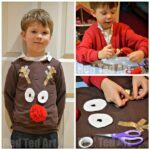 How to do the fork method?